The Durand Neighbourhood is an inner-city district bounded by Main Street West, James Street South, the Escarpment and Queen Street South. It is home to approximately 12,000 Hamiltonians. 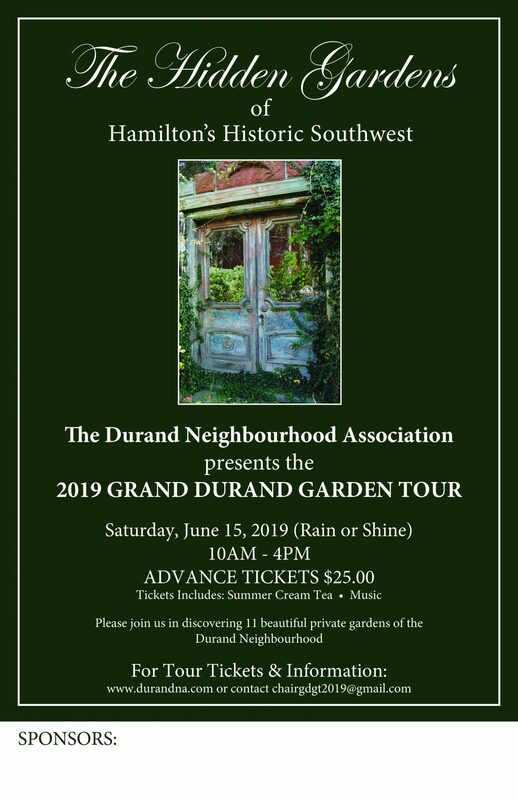 The Durand Neighbourhood Association Inc. was established in 1972 as a politically independent community organization and chartered as a not-for-profit provincial corporation. It is financially self-supporting through annual membership dues and (non-charitable) contributions. It is the DNA’s vision to be the model downtown community that protects heritage while creating a diverse, sustainable and vibrant future. The Durand Neighbourhood Association’s mission is to be an active, resident-based voice that engages community members and advocates for neighbourhood priorities. Please contact us with questions, comments, or concerns in the neighbourhood, or if you are interested in joining or renewing your membership. If you would like to volunteer or get involved in your community, this is a wonderful opportunity to make a difference.